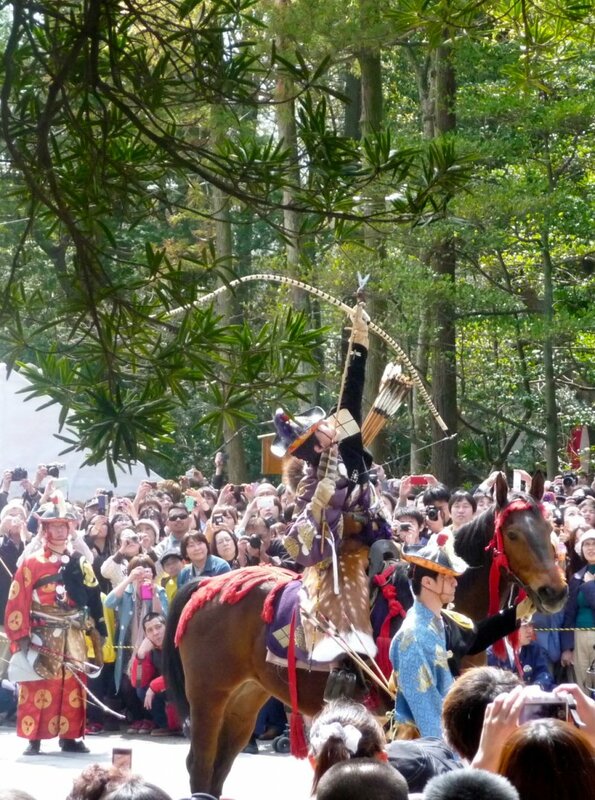 Experience a part of the Samurai warrior culture and spirit by viewing yabusame (horseback archery) in Kamakura. 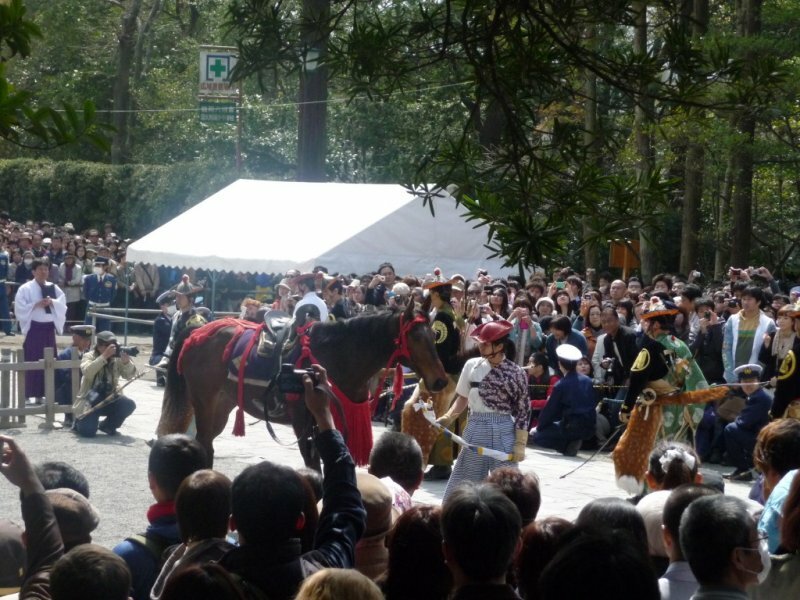 On the third Sunday of April, yabusame is presented at the dirt road crossing below the Tsurugaoka Hachimangu Shrine. 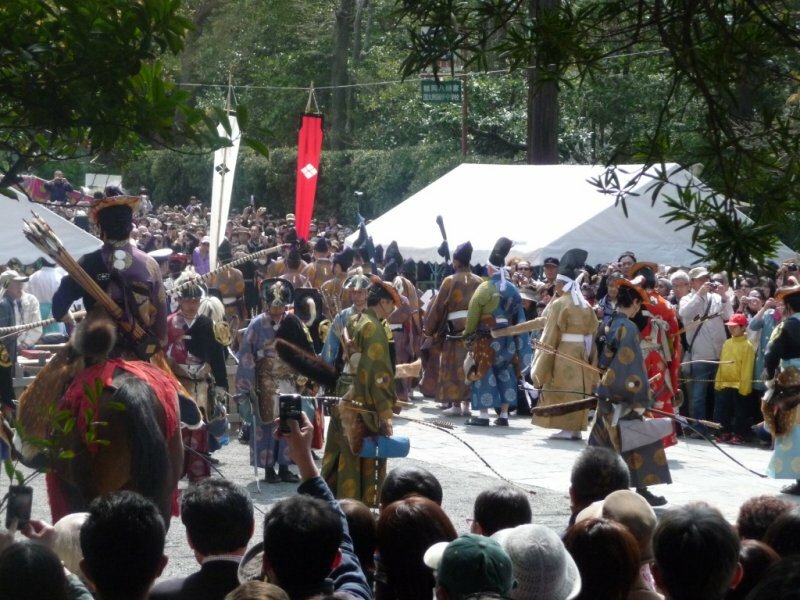 If you have committed to attending yabusame, plan to go significantly earlier than the scheduled start time as the event is attended by hundreds, if not thousands, of people. The experience starts once you exit Kamakura Station on the JR train line. You basically become part of the huge wave moving through an unending sea of people. 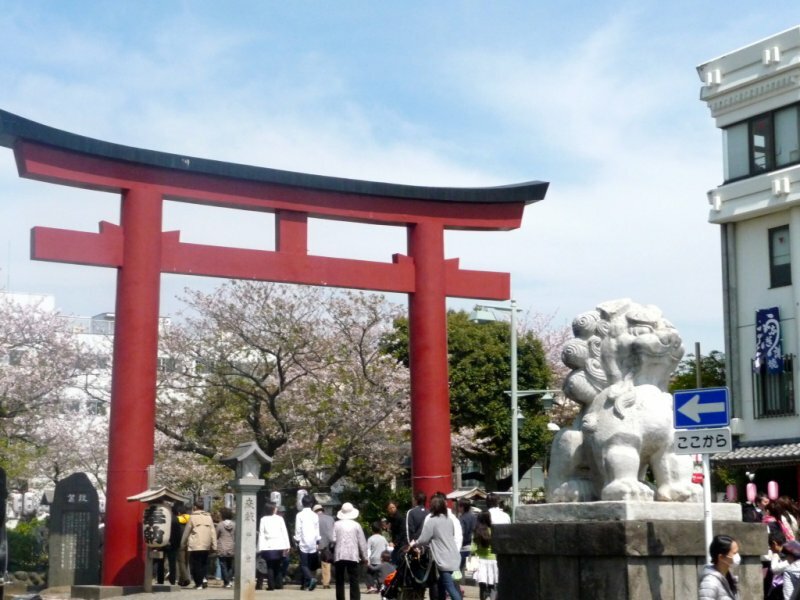 You can transit to the Tsurugaoka Hachimangu Shrine via the shopping street, Komachi-dori, or via the pedestrian path (dankazura) running through the center of Wakamiya Oji Street. 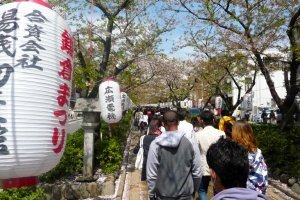 I recommend taking the dankazura as several hundred cherry trees will be in full bloom and the truly transient beauty of the cherry blossoms should not be missed. 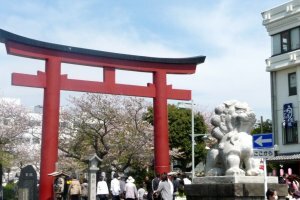 Despite the hundred or so new companions walking along with you, you quickly forget the noise and bustle as you are greeted by the two giant guardian dogs (lion dogs) before the equally impressive red torii gate that marks that beginning of the dankazura. 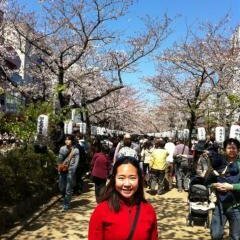 Then you are quickly lulled by the white lanterns and cherry blossoms around you. Whether the cherry blossoms are floating against a clear blue sky, falling like snow to the ground with a gust of wind, or admired close up, they are all mesmerizing. 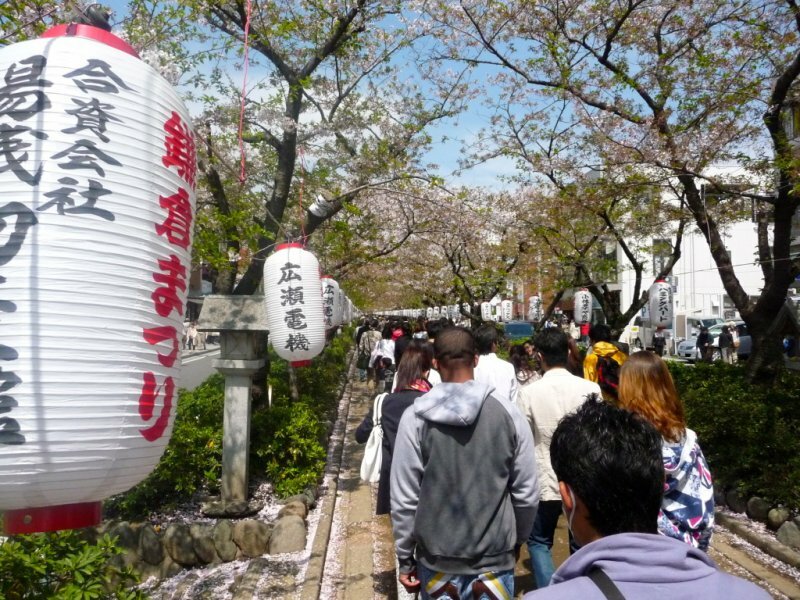 Later you can look for drain covers with a cherry blossom design or buy a tenugui (cotton printed cloth) depicting the dankazura lanterns and cherry blossoms. 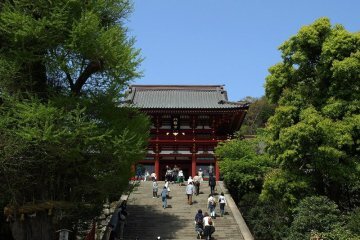 If you get to Tsurugaoka Hachimangu Shrine early, you want to line up as close as you can alongside the dirt road running east and west between the third torii gate and Ritual Dance Stage. I would be protective and not lose your spot as the ocean of people will just continuously fill in any open space. I actually did not get to observe the target shooting portion as I did not arrive in time to find a good viewing spot. Descriptions of yabusame report that archers on horseback gallop down the path at full speed and draw and shoot their arrows at stationary targets at the end of the path. Although I could not view this, the roaring cheers and cries of the multitude of participants indicated whether the archers were victorious or not in hitting their targets. Fear not. 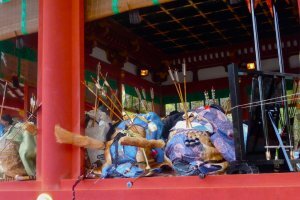 If you do not get to Tsurugaoka Hachimangu Shrine early, there are other aspects of the event that you can view, which you may not have been able to if you were holding your viewing spot for the horseback archery contest. 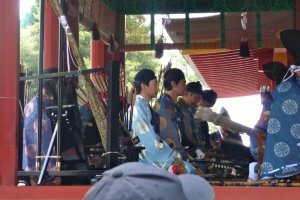 Prior to the archery demonstration, there is a ceremonial presentation of the archers dressed in resplendent traditional Samurai costumes. 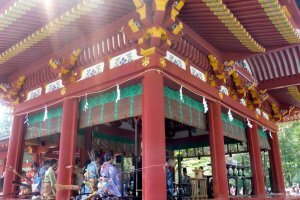 Start at the Ritual Dance Stage where you can observe the archers in vividly colored hunting attire presenting themselves to the gods to gain favor and blessings, and in thanks for the past for prosperity and a good harvest. 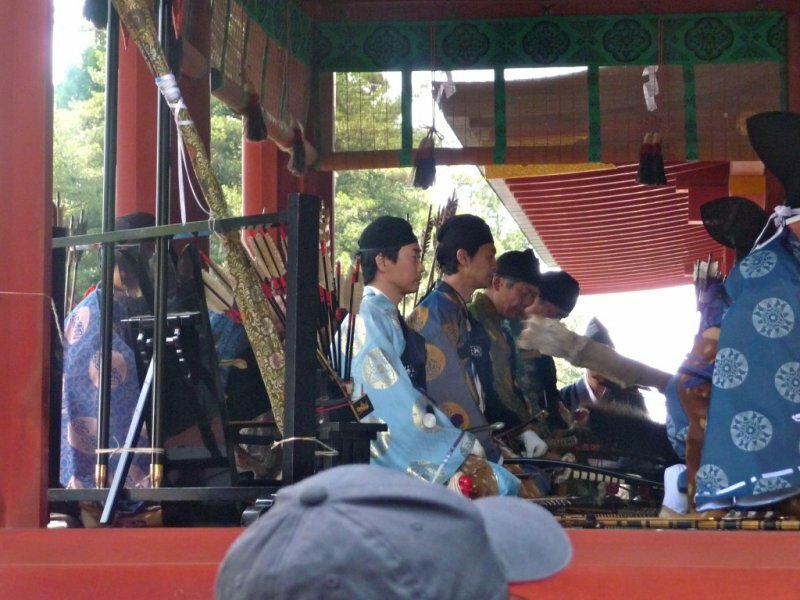 You can catch a beautiful photograph of the archers in splendid blues, yellows, and other colors with feathered arrows and bows striking against the rich red pillars of the Ritual Dance Stage. 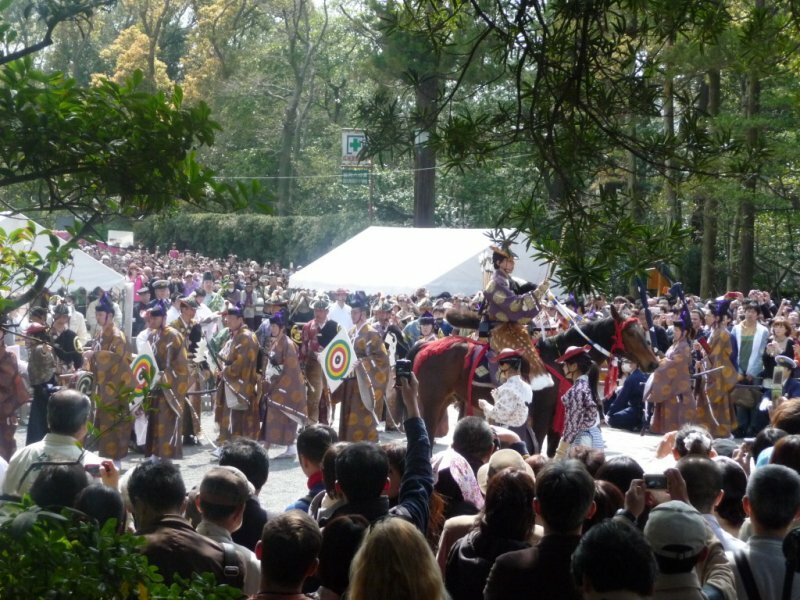 After the ceremony at the Ritual Dance Stage, all the participants in the yabusame, including the proud archers, flag bearers, and people carrying the targets, march in a stately procession toward a clearing closer to the archery track. One of the archers mounts a horse and while sitting on the horse demonstrates various positions and poses with the bow and arrow, such as aiming the arrow drawn in the bow skyward or toward the ground. 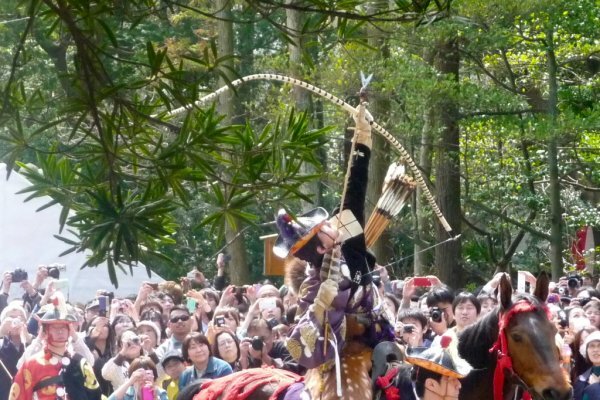 After the brief demonstration, the procession then reforms and marches toward the archery track and sets up for the yabusame. From my vantage point during the actual horseback archery demonstration, all I saw were quick flashes of color across an opening, a thunk (or not) depending on whether the arrow hit its target, and then cheers or cries of disappointment. I left early as I was not able to view the horseback riding and target shooting. 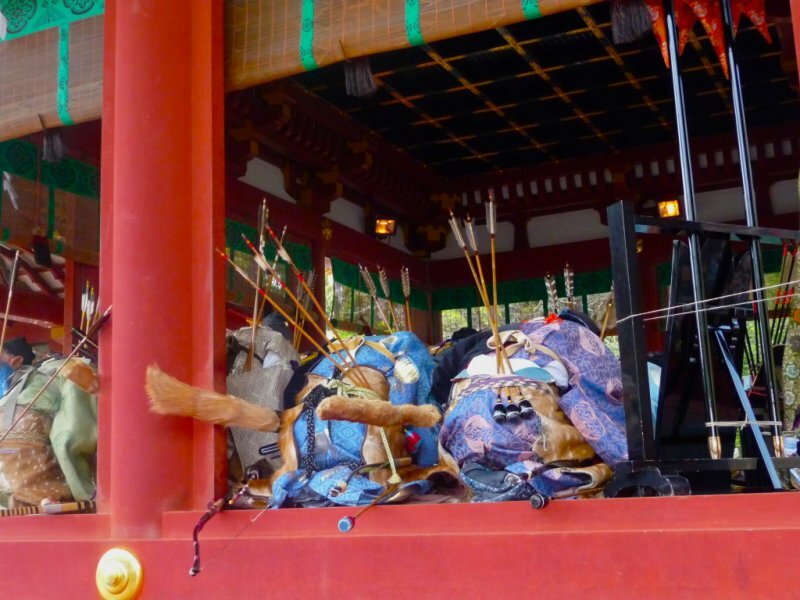 However, next year, I will be sure to get to Tsurugaoka Hachimangu Shrine early to find myself a good vantage point along the archery track to view the horseback archery. 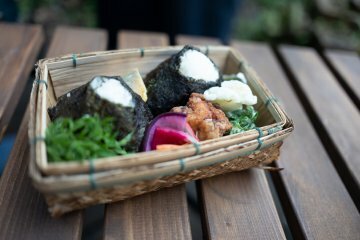 I am an Asian American currently living in Hayama, Japan, which is about a 2.5 hour drive south of Tokyo. I love traveling and seeing and experiencing new places, things, foods, and activities. I love taking pictures of everything. 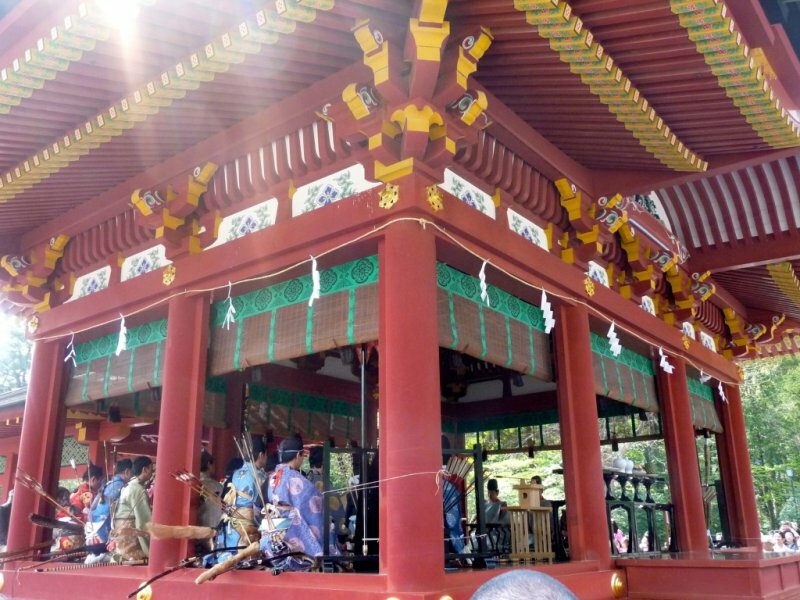 If you have a chance to see yabusame on a visit to Tokyo, don’t pass it up. 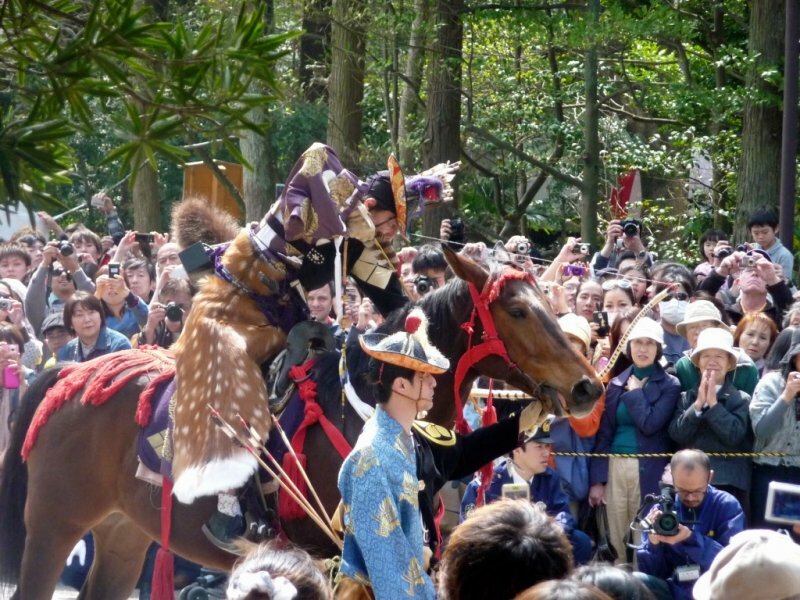 It’s got something for everyone - horsemanship, archery, historical costumes, and Shinto ritual. And the skill it takes - a friend who trained for it says it takes a lot of practice to ride and shoot and hit the target. 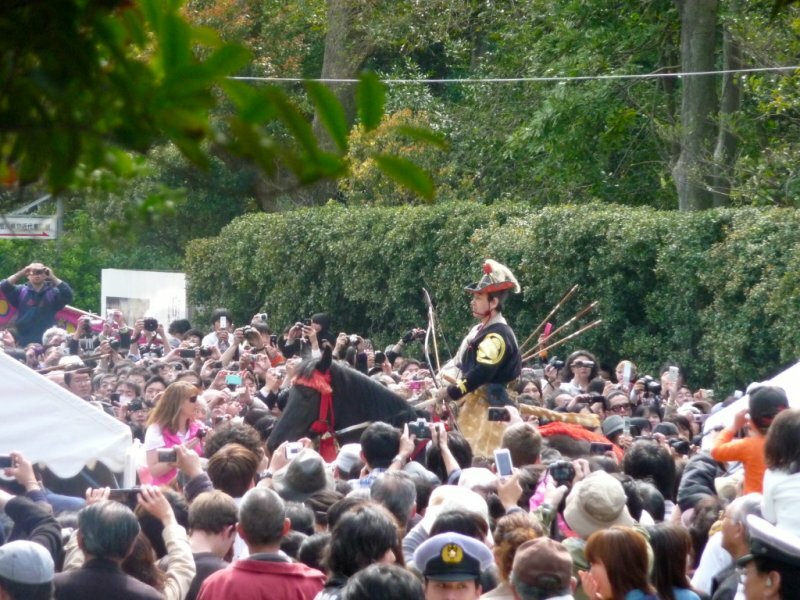 I attended the yabusame in Sumida and it was absolutely fantastic. Watching a display of yabusame is a must! You won't regret it.